A man was found murdered on Sunday morning. His wife immediately called the police. 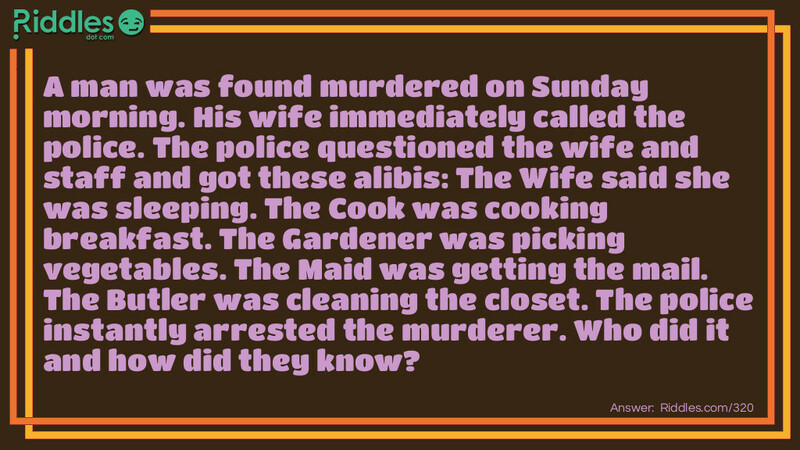 The police questioned the wife and staff and got these alibis: The Wife said she was sleeping. The Cook was cooking breakfast. The Gardener was picking vegetables. The Maid was getting the mail. The Butler was cleaning the closet. The police instantly arrested the murderer. Who did it and how did they know? Murder Suspects! Riddle Meme with riddle and answer page link.